Presented in our new signature carrying boxes is an array of rich, moody blooms in red tones- perfect for birthdays, new love, anniversaries, and the fashionista! 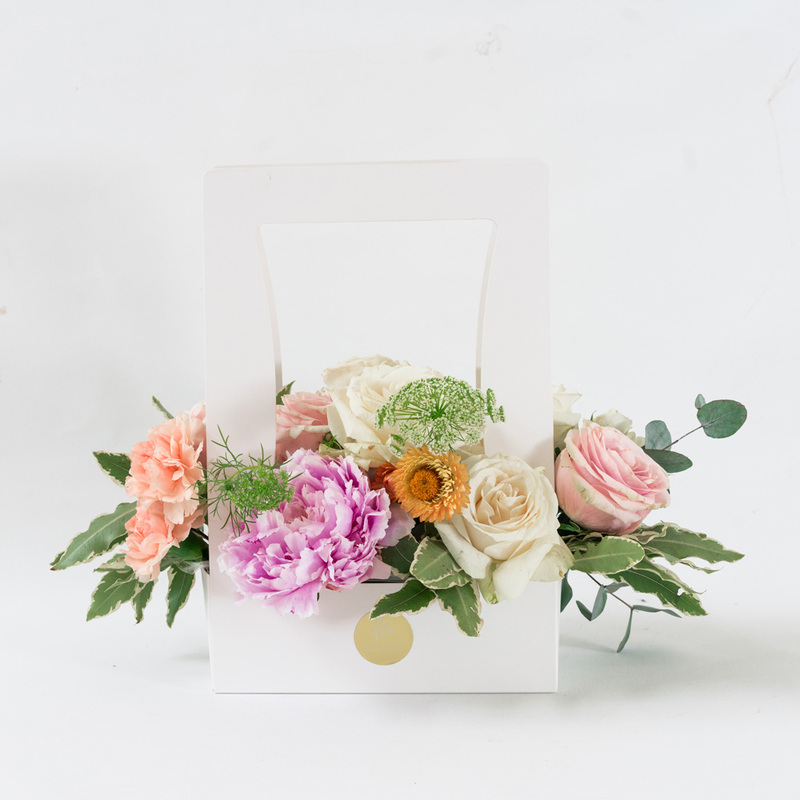 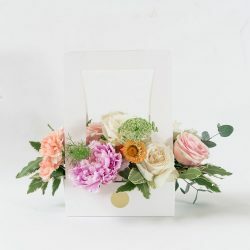 Presented in our new signature carrying boxes is an array of pretty in pink blooms – perfect for birthdays, bridal showers, new parents, or simply to brighten someone’s day! This design is pretty in pink and includes fragrant blooms appealing to all senses. 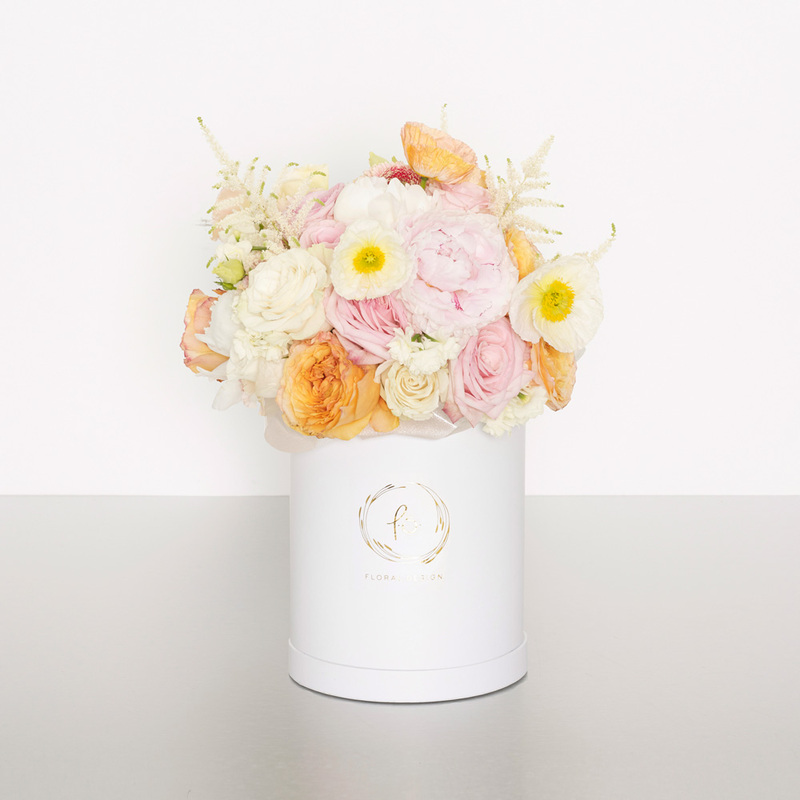 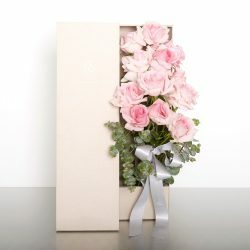 Showy blooms are designed into our signature cylinder box; perfect for making your recipient blush! 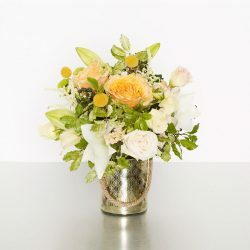 An uptown design sure to please the stylish fashionista. Rich in color,these beautiful seasonal blooms are designed into our signature cylinder boxes; perfect for grand openings, corporate gifts, and most celebrations! 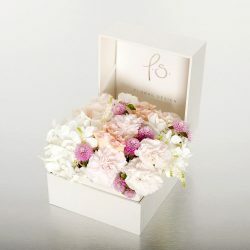 Please contact shop for Peony Availability. 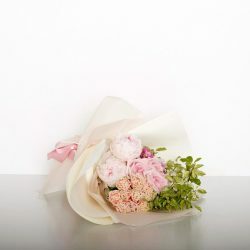 The thick, ruffled, lush bloom of the peony flower makes it a favourite of many flower lovers. 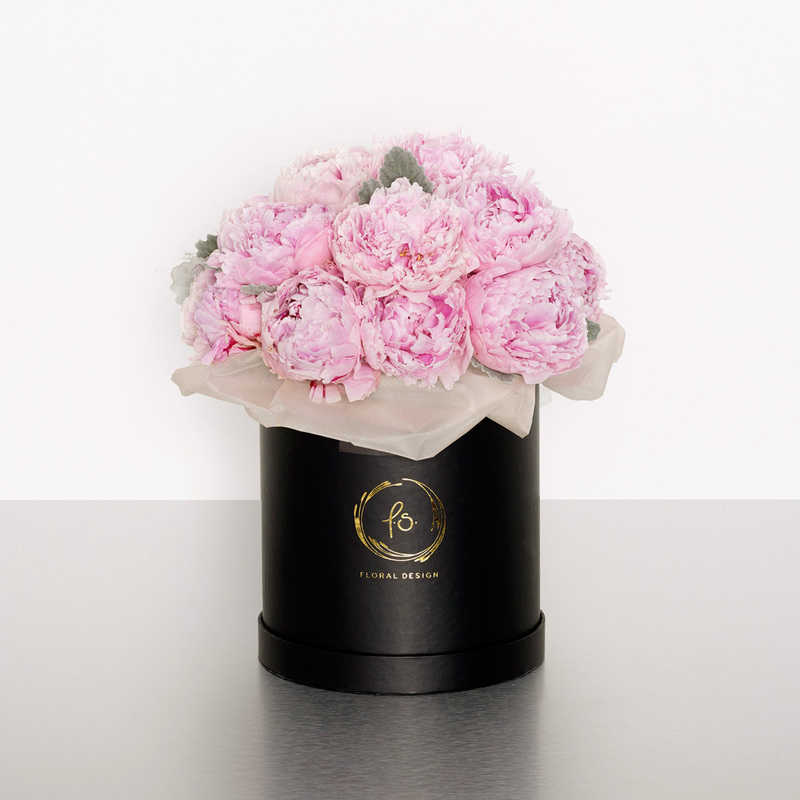 Traditionally a gift of honour, romance or apology, the peony is used today for all occasions.Designed into our signature cylinder box, these lush pink peonies are sure to impress! 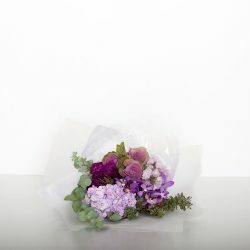 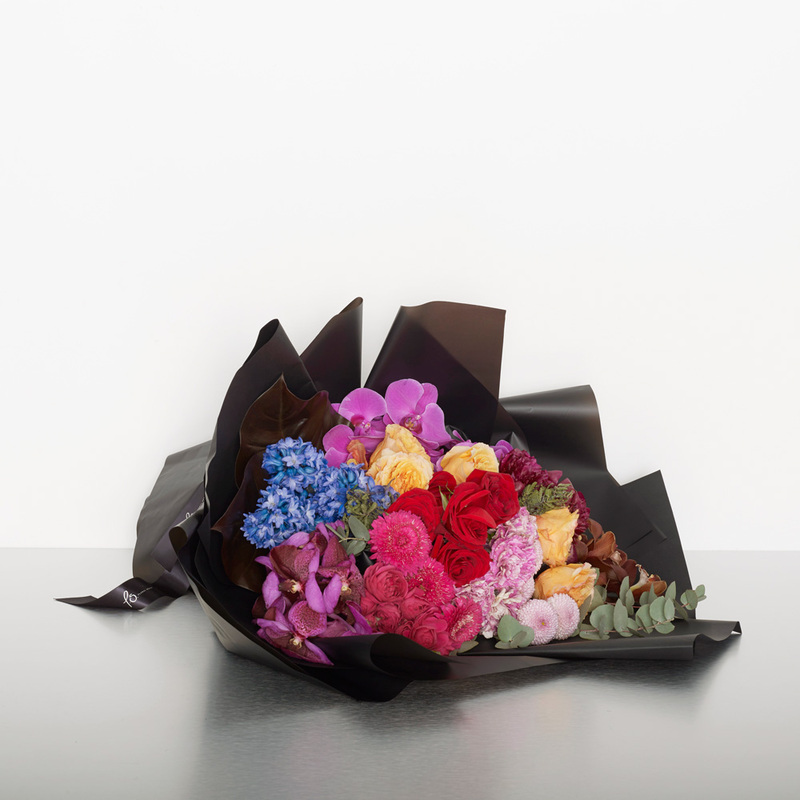 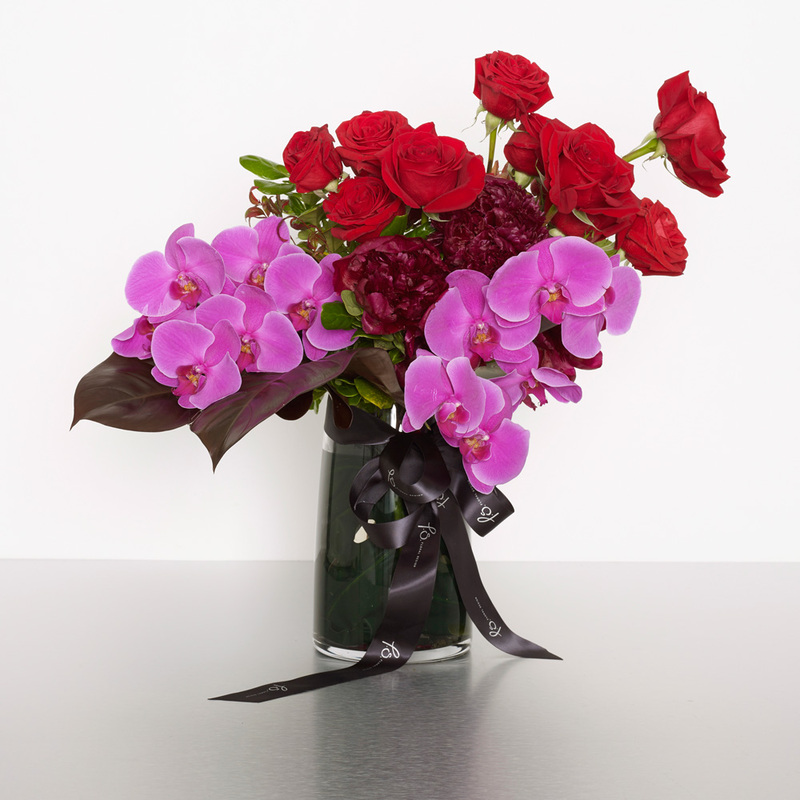 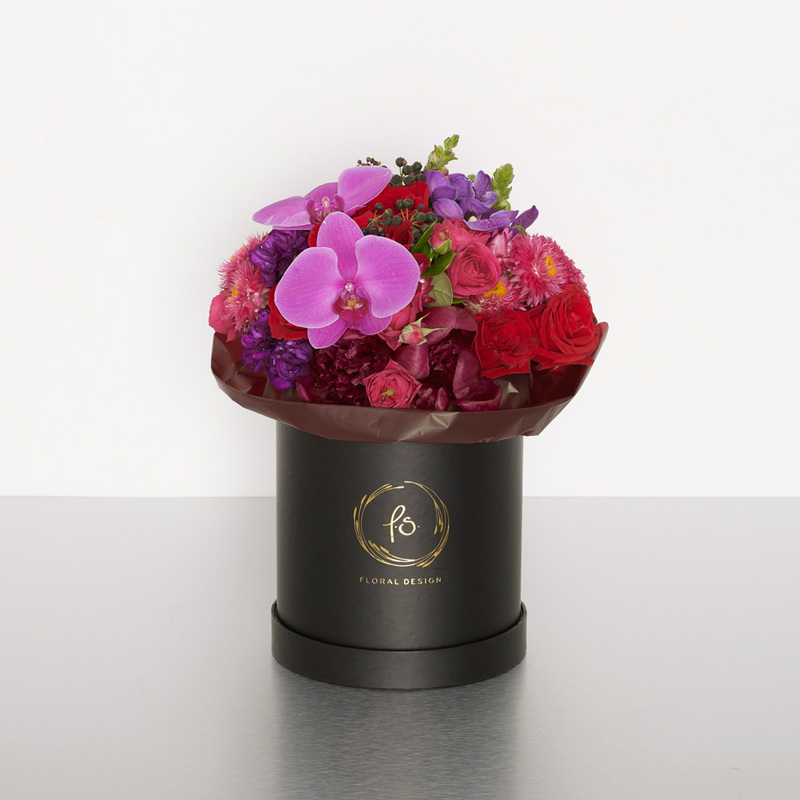 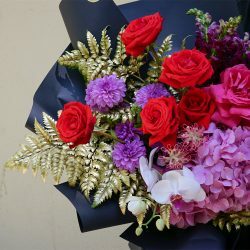 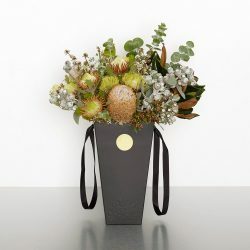 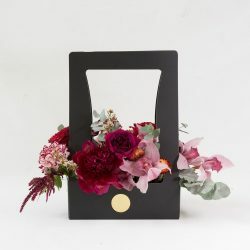 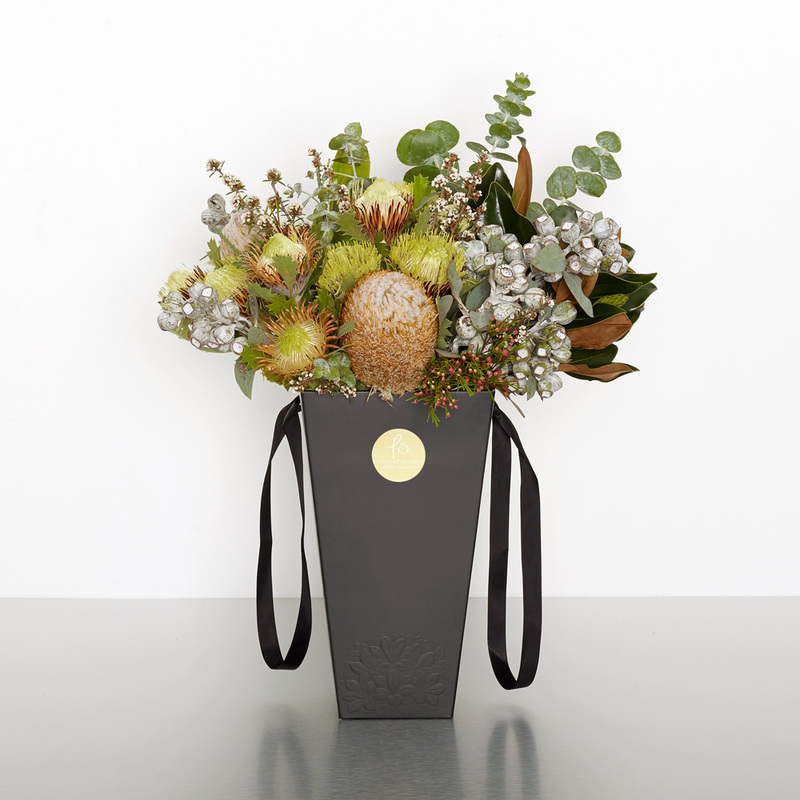 Hidden within our classic black box is a selection of romantic red and pink blooms – sure to warm your beloved’s heart. 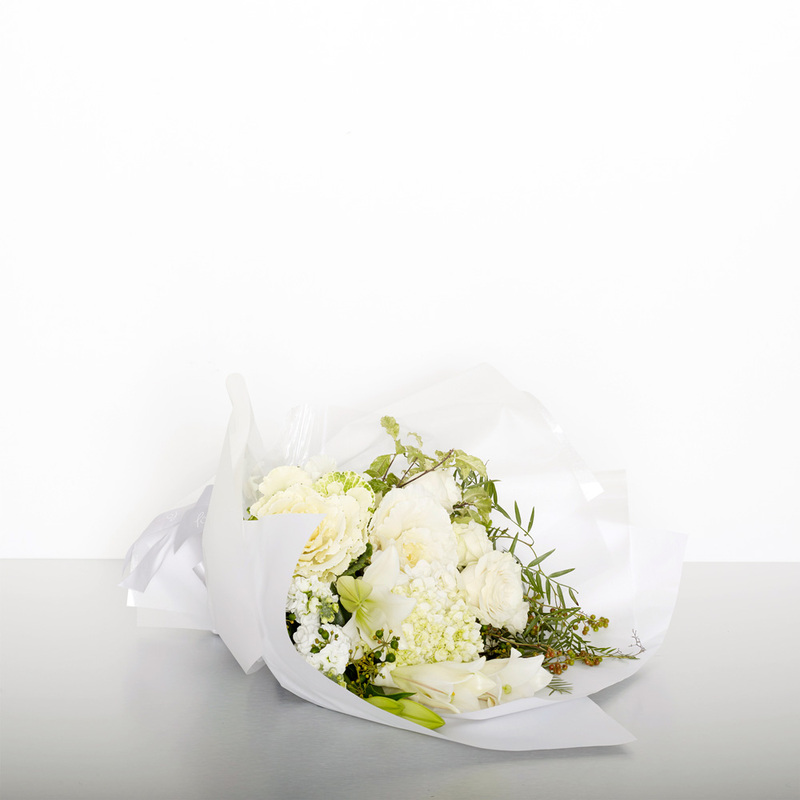 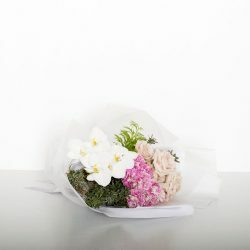 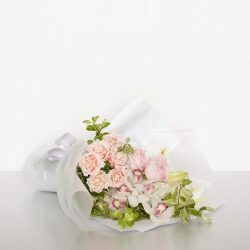 Hidden within our classic white box is a selection of romantic pink and white blooms – sure to warm your beloved’s heart. 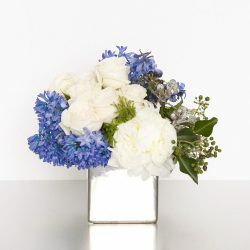 Congratulate caregivers with a gorgeous palette of blue florals. 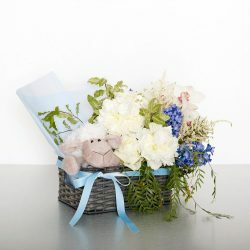 For added joy this arrangement includes a cuddly soft toy. 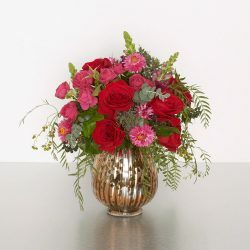 Congratulate caregivers with a gorgeous palette of pink florals. For added joy this arrangement includes a cuddly soft toy. 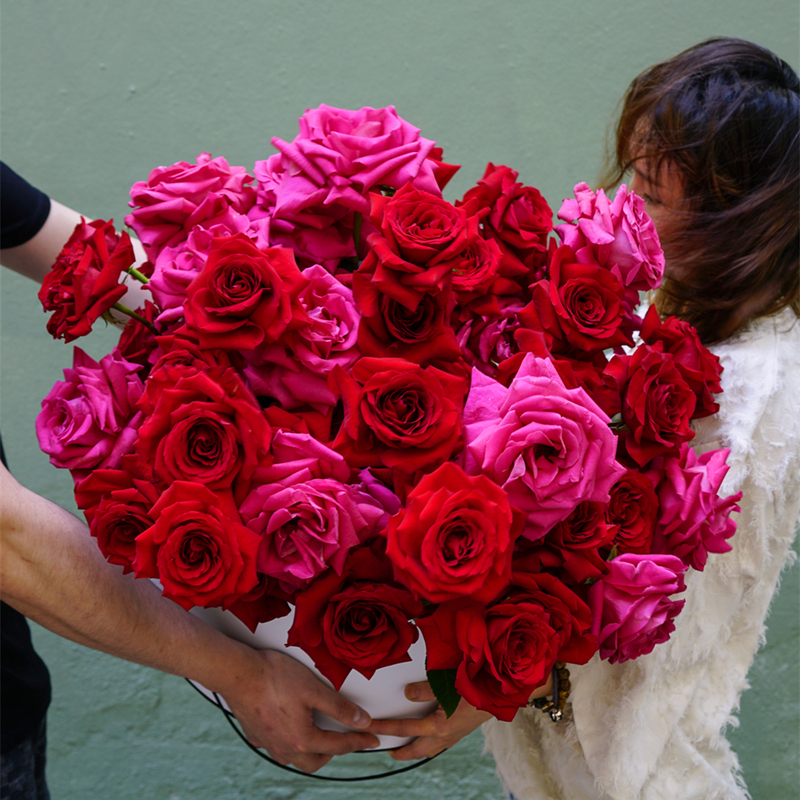 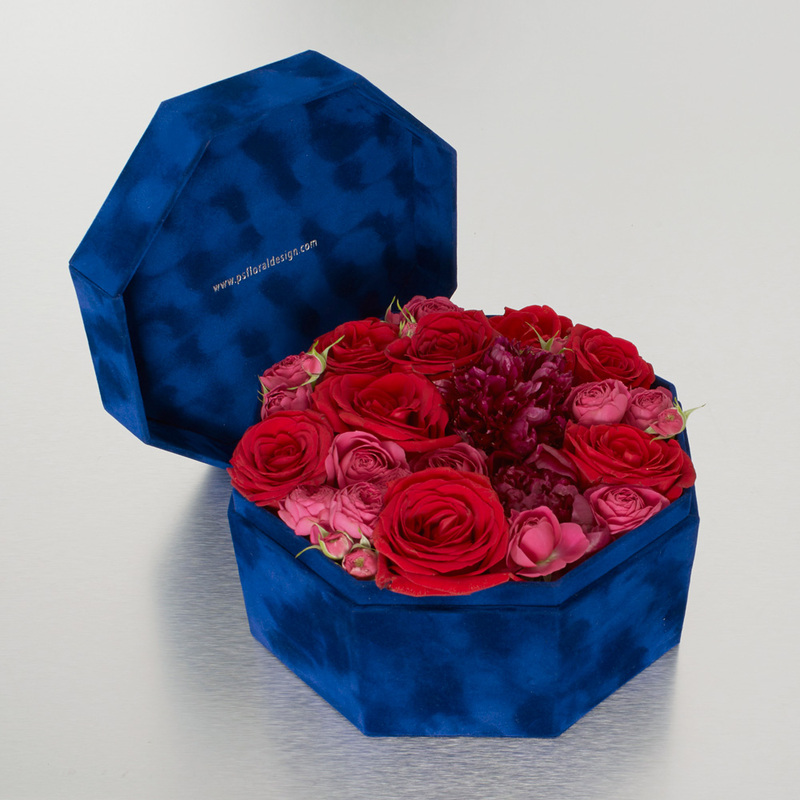 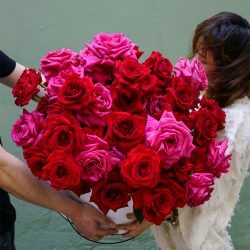 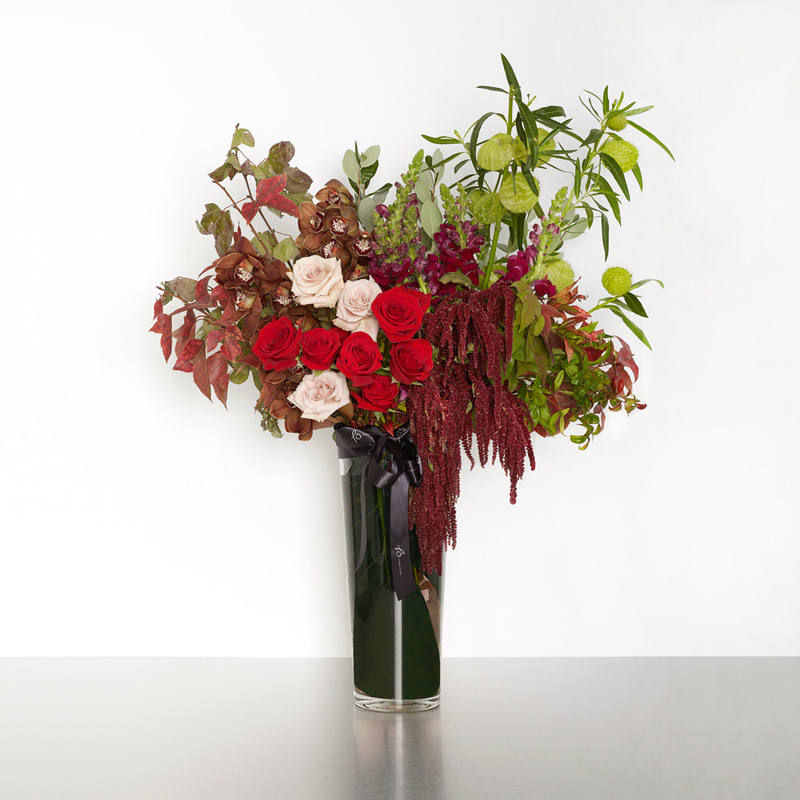 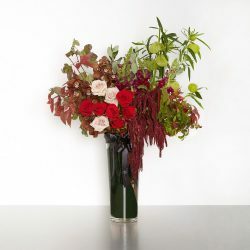 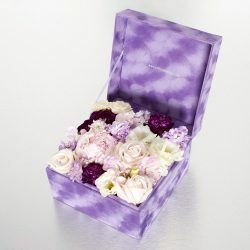 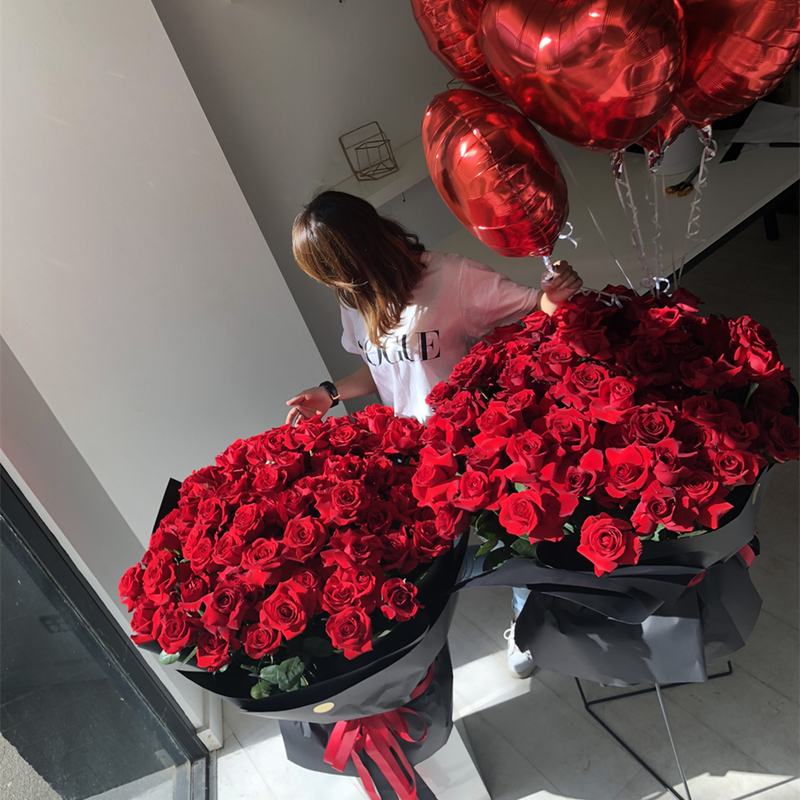 Image shows a Xlarge boxed arrangement contains around 65 stems roses. 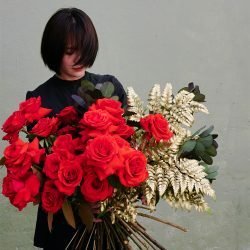 Different sizes are shown in images. Small size contains around 11 red colombian roses. 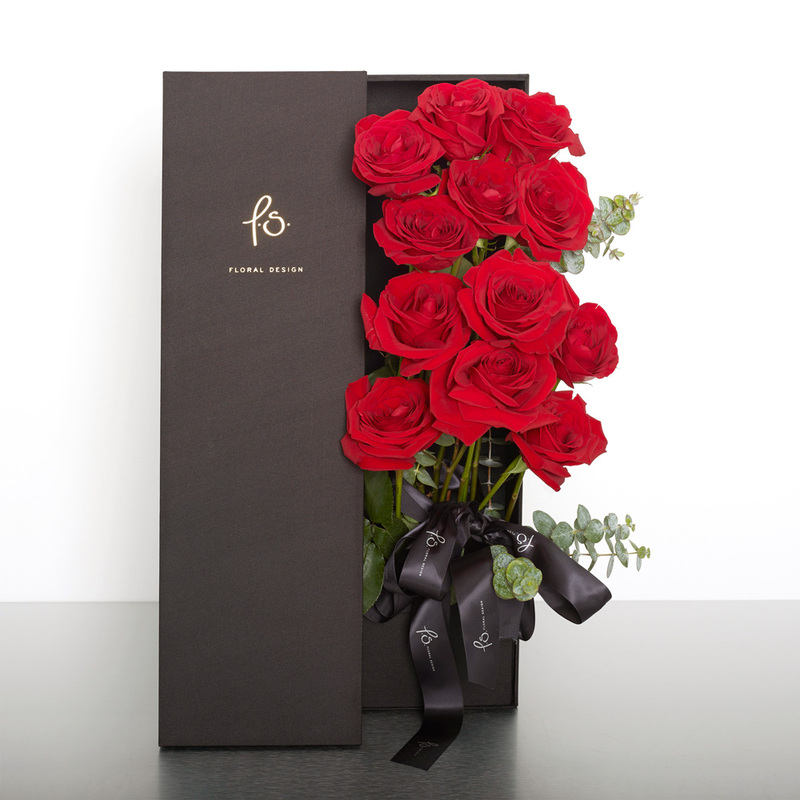 Premium red roses packaged in our stylish P.S. 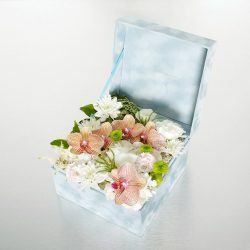 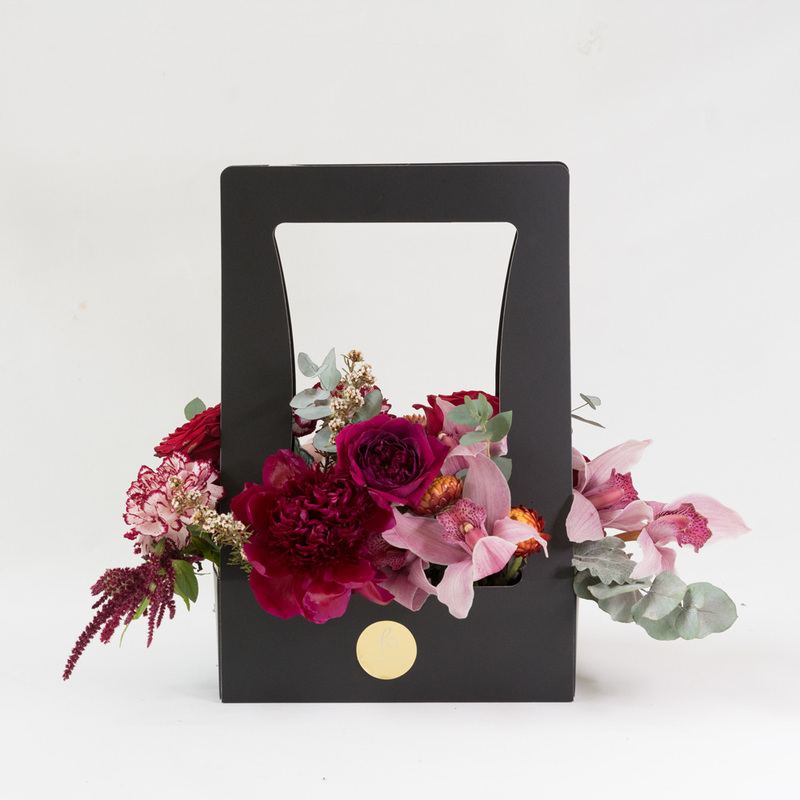 Floral Design presentation box. 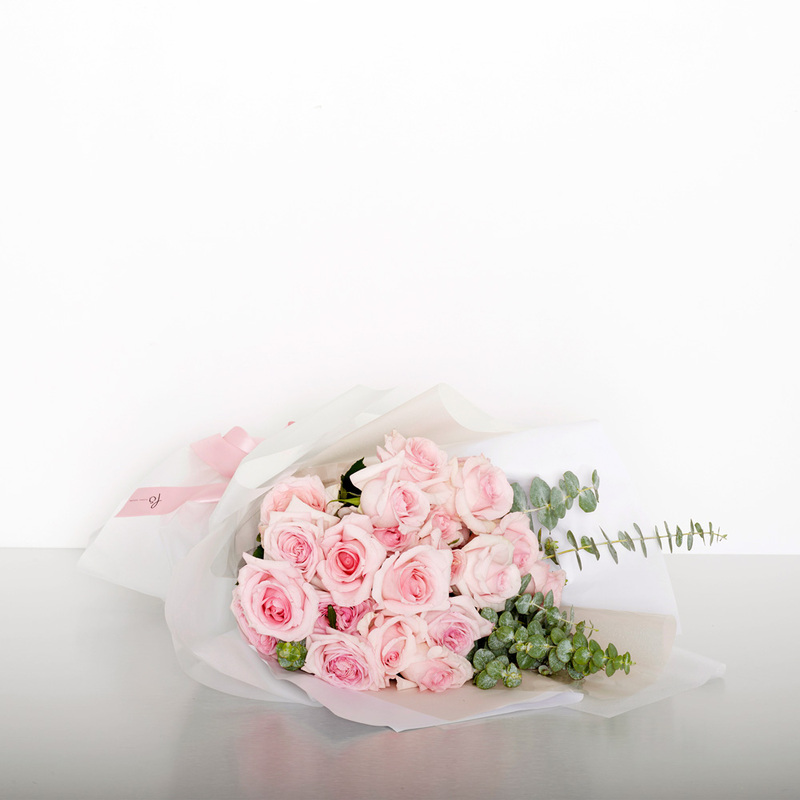 Premium pink roses packaged in our stylish P.S. 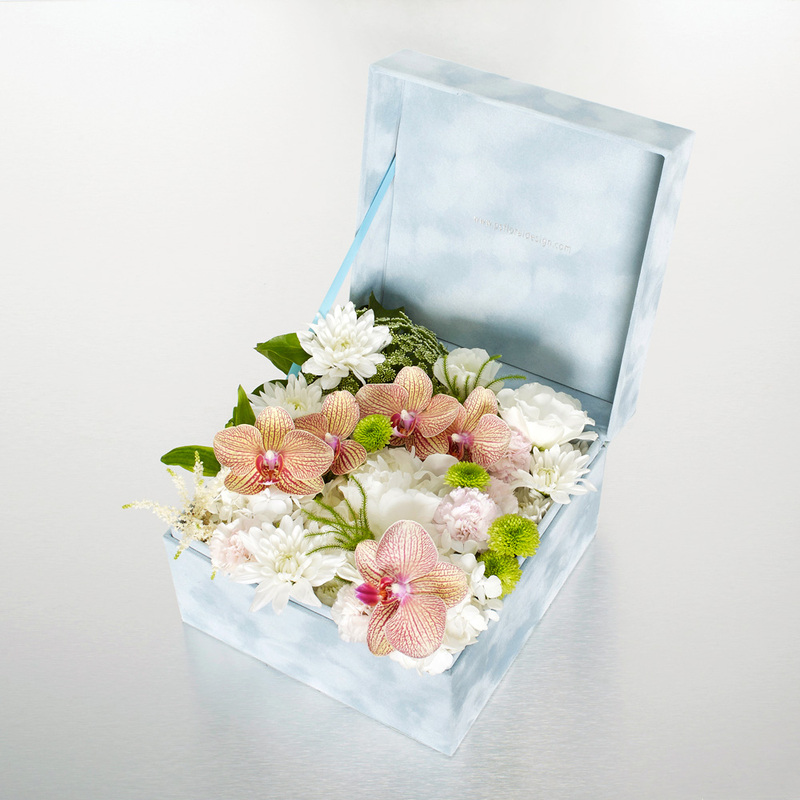 Floral Design presentation box. 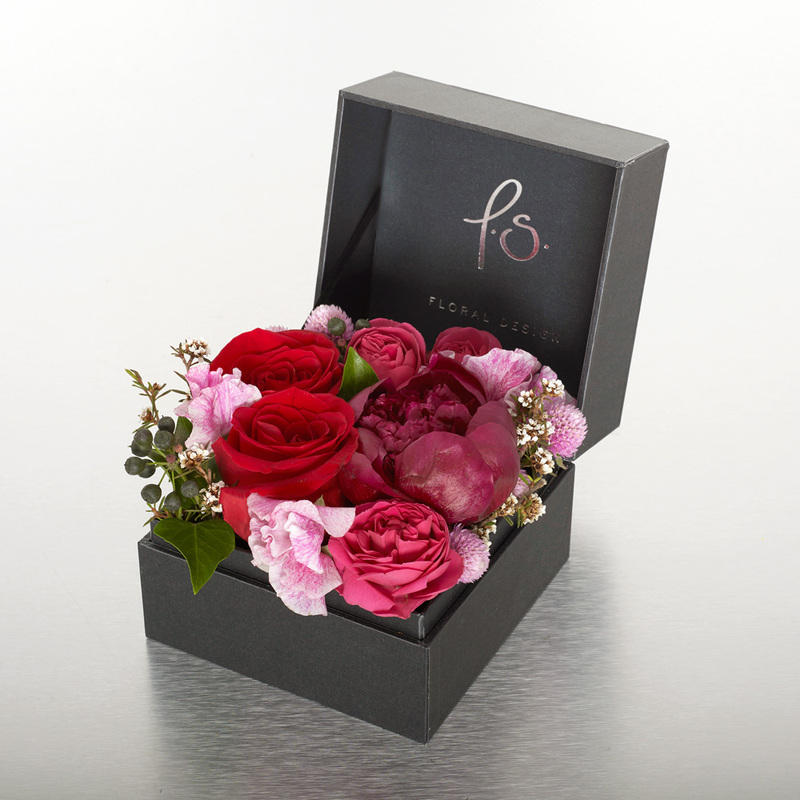 Hidden within our signature velvet box is a selection of opulent pink and red blooms – a veritable treasure trove of secret delights! Hidden within our signature velvet box is a selection of opulent pink and purple blooms – a veritable treasure trove of secret delights! Hidden within our signature flower box is a selection of opulent pink and white blooms – a veritable treasure trove of secret delights! 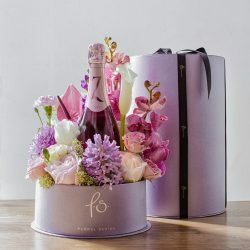 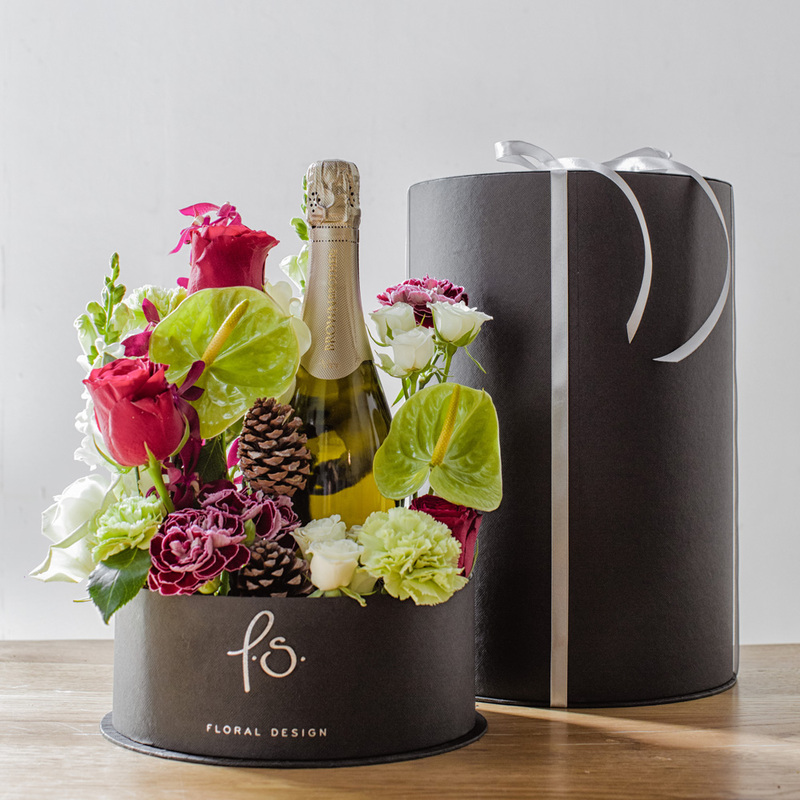 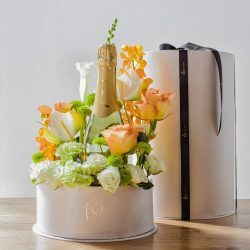 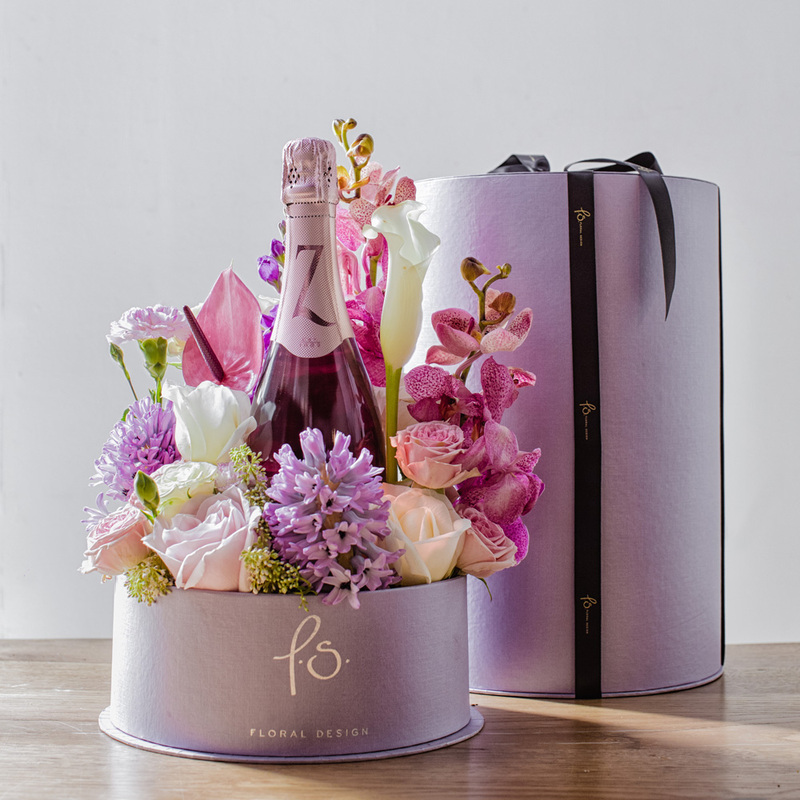 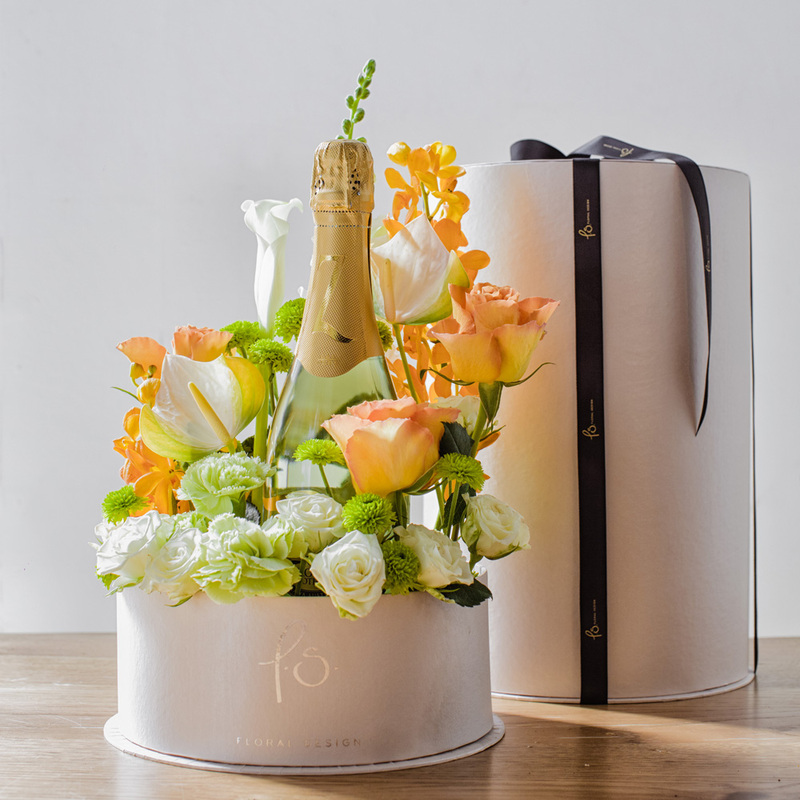 Hidden within our signature cylinder box is a garden of blooms surrounding a bottle of delicious sparkling wine – perfect for celebrations, corporate gifts, and romantic gestures! Sometimes simple is best. 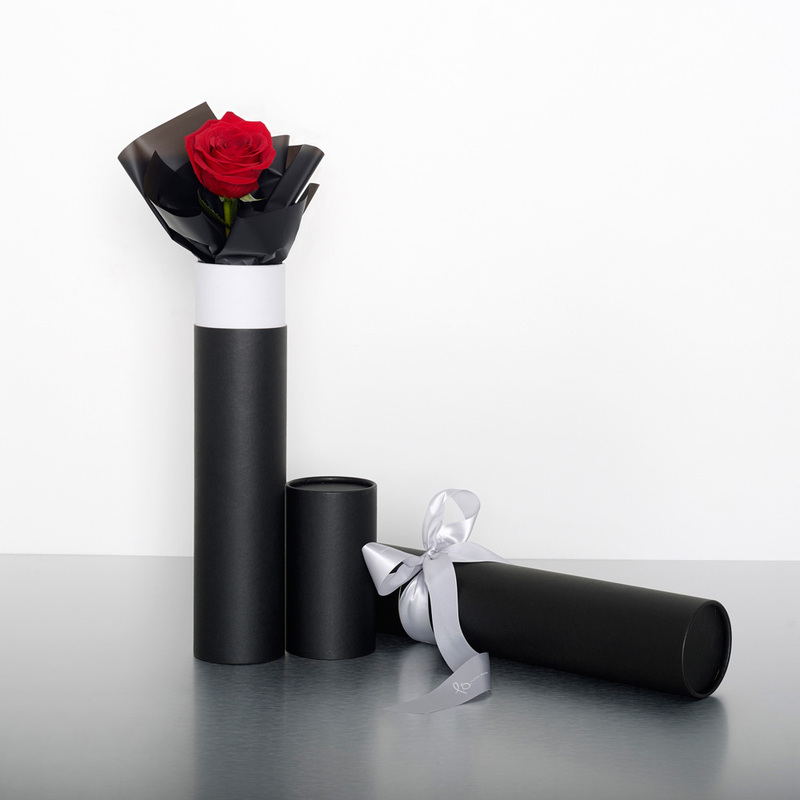 Select a pink（grace, joy), white (innocence, secrecy) or red rose (love) and we will present it in a black classic tube box with satin ribbon.